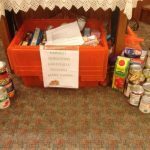 In recent years we have collected dried and packaged food for the Southend Charity, HARP. We also dentate the collection money from our Harvest Service. Our collection will be donated to HARP and we are also collecting food and other items useful to the Homeless. 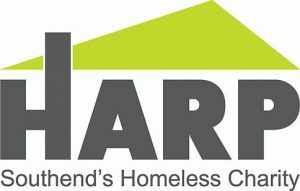 HARP is the independent Southend based charity that reduces homelessness by providing essential services, emergency housing and long term solutions. This enables people to rebuild their lives and live independently in the community. Once a year we invite our companions from the animal kingdom to come with their owners to our Animal Service. The collection from this service is donated to Acres Way Kennels in Thunderseley. We are always happy to arrange to visit those who cannot get to Church to offer healing, encouragement or perhaps just a listening ear where it is needed. Please do not hesitate to approach us if you feel we can be of service in any way. To keep in-touch with our more vulnerable members, we have a communications book, find out more.